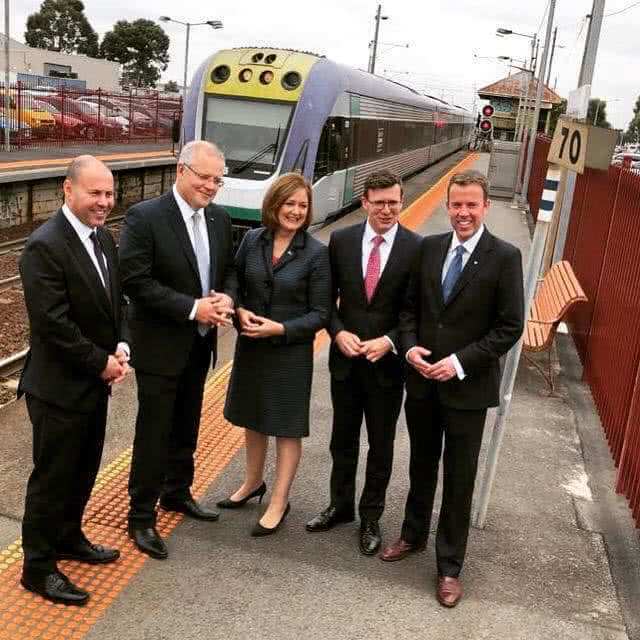 On 22 March, I joined the Prime Minister, Minister for Cities, Urban Infrastructure and Population, The Hon Alan Tudge MP and Assistant Minister for Social Services, Housing and Disability Services, The Hon Sarah Henderson MP at North Geelong Station to announce $2 billion to bring the fast rail between Geelong and Melbourne to life. The congestion-busting fast rail will be the first of its kind in Australia – travelling at the fastest speeds of any train line in the nation at an average speed of 160 km/h and halving the travel time between Melbourne and Geelong to only 32 minutes. The fast rail is part of the Government’s Plan for Australia’s Future Population to take pressure off the big cities and support the growth of the regions.